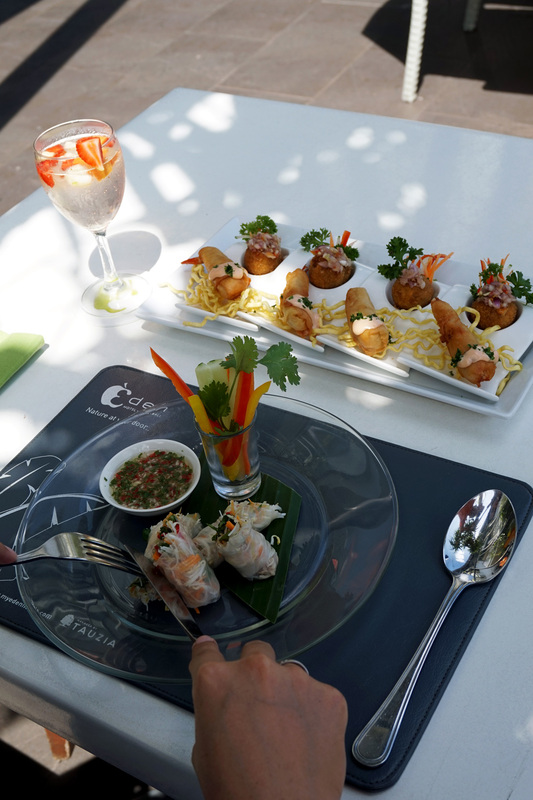 During our stay at Eden Hotel Kuta we had a chance to try their restaurant called Paradisus Gourmet. 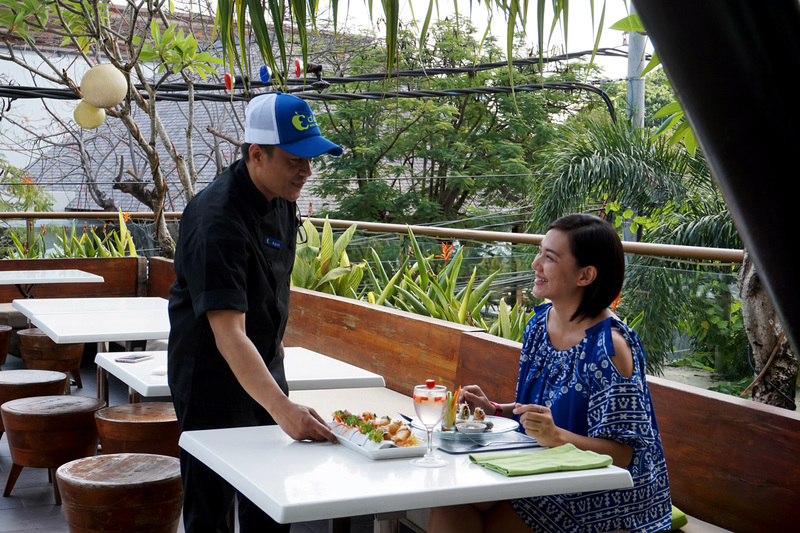 Open every day for breakfast, lunch and dinner this restaurant offers some favorite Indonesian and International cuisine on their menu. 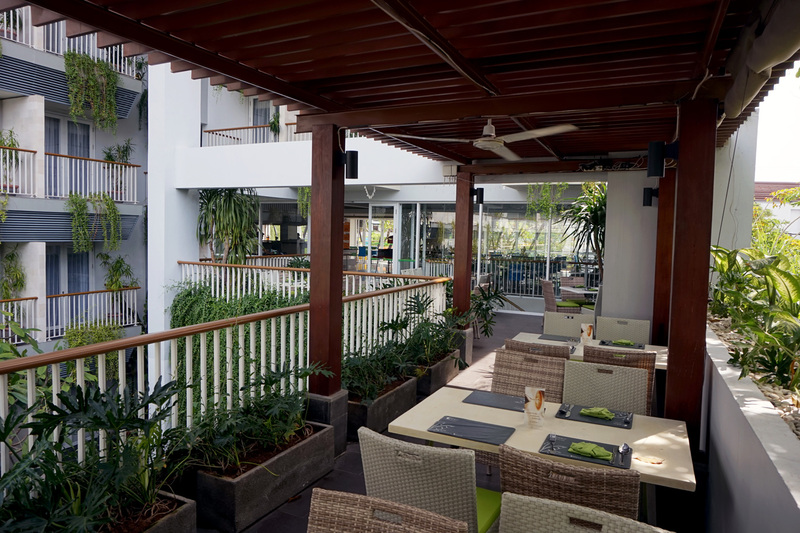 The restaurant itself has casual ambiance and decorated in white and light green. 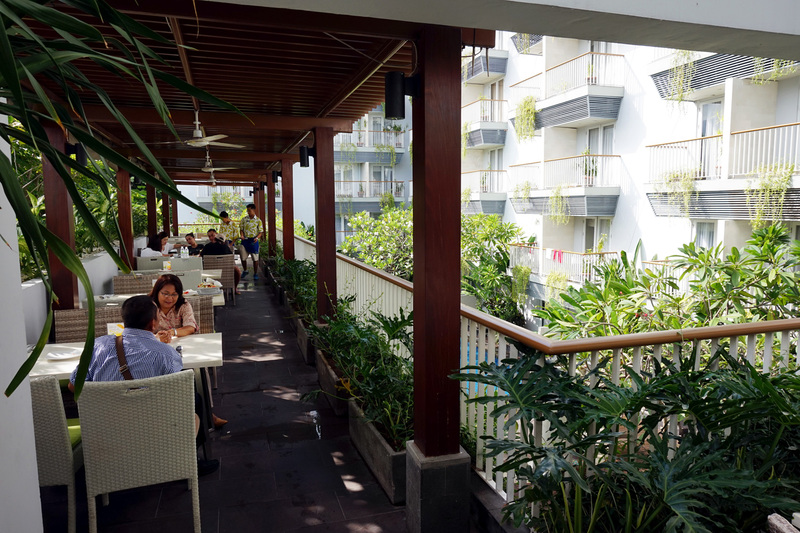 It has outdoor area at the back surrounded with some greenery and a lounge deck in front for a laid back afternoon or enjoying dinner under the stars. Had a taste of their delicious canapés, I’m craving for more of their rich and tender beef rendang. 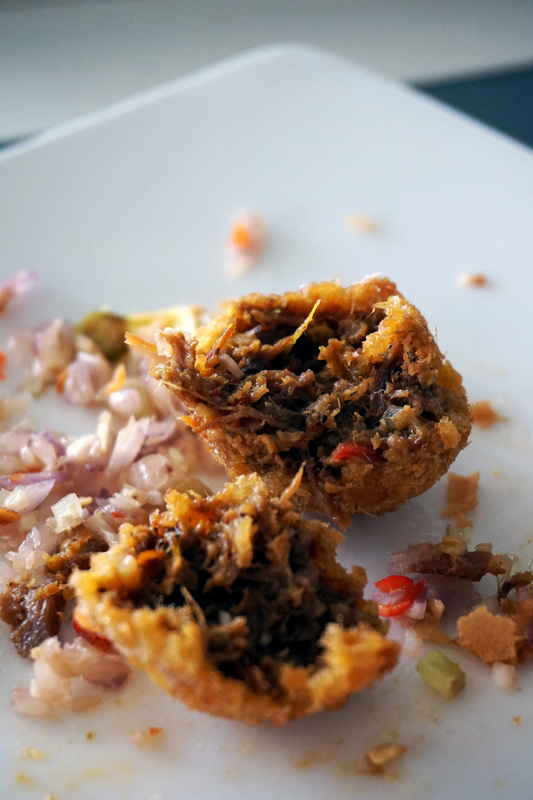 So I decided to order Indonesian Risjttafel; risjttafel itself were adapted from the Dutch during their colonization. Literally translated as Rice Table; this eating tradition serves small portion of various dishes accompanied with rice. 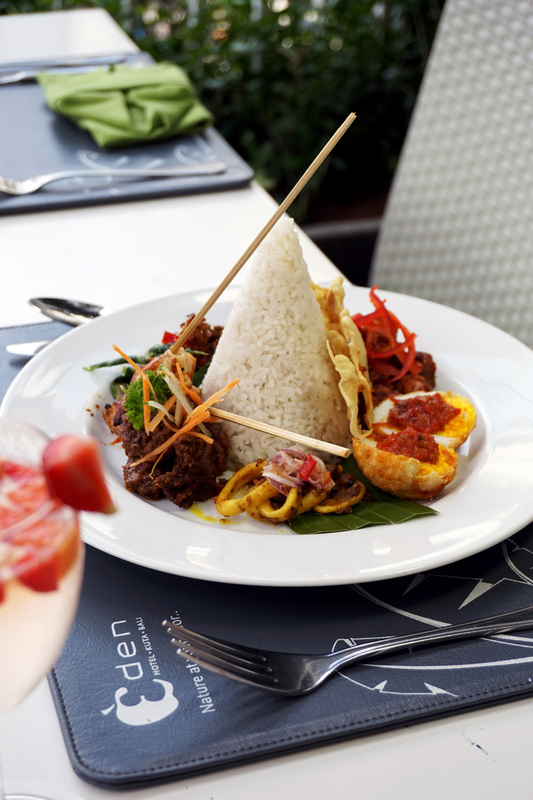 Here at Paradisus on their Risjttafel we can try several Indonesian favorite dishes such as Chicken Satay, Beef Rendang, Egg Balado (boiled egg with spicy sauce), Squid and Long Bean with Kalasan Sauce; all deliciously served in one plate.